A small child awakes to find blackened leaves falling from her bedroom ceiling, threatening to quietly overwhelm her. ‘Sometimes you wake up with nothing to look forward to…’ As she wanders around a world that is complex, puzzling and alienating, she is overtaken by a myriad of feelings. Just as it seems all hope is lost, the girl returns to her bedroom to find that a tiny red seedling has grown to fill the room with warm light. Astonishing Perth artist, Shaun Tan’s latest creation, The Red Tree, is a book about feelings - feelings that can not always be simply expressed in words. It is a series of imaginary landscapes conjured up by the wizardry of Shaun Tan’s masterful and miraculous art. As a kind of fable, The Red Tree seeks to remind us that, though some bad feelings are inevitable, they are always tempered by hope.A small child awakes to find blackened leaves falling from her bedroom ceiling, threatening to quietly overwhelm her. ‘Sometimes you wake up with nothing to look forward to…’ As she wanders around a world that is complex, puzzling and alienating, she is overtaken by a myriad of feelings. Just as it seems all hope is lost, the girl returns to her bedroom to find that a tiny red seedling has grown to fill the room with warm light. 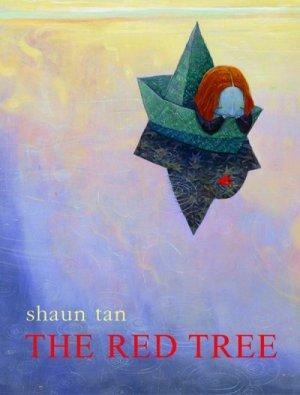 Astonishing Perth artist, Shaun Tan’s latest creation, The Red Tree, is a book about feelings - feelings that can not always be simply expressed in words. It is a series of imaginary landscapes conjured up by the wizardry of Shaun Tan’s masterful and miraculous art. As a kind of fable, The Red Tree seeks to remind us that, though some bad feelings are inevitable, they are always tempered by hope.